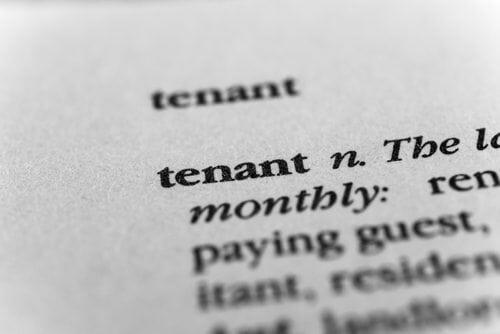 Home > Tenant/Landlord > Are You Asking Potential Tenants These Critical Questions? When you interview a prospective tenant for your rental property, it’s important that you get a good feel for who they are, how responsible they are, and how the tenancy is likely to play out. Here are some critical questions you need to ask when considering who to rent your property to. 1. What Is Your Monthly Income & How Often Are You Paid? You want to make sure that your tenant has enough income to pay the rent. If your property is listed at $600 a month and a potential tenant only makes $1200 a month, your rent is half their actual income. It’s unrealistic to expect that an individual would be able to devote half of their monthly income to rent. You also want to know how often they are paid and the source of their income. Do they have a paycheck that they receive every 2 weeks? Or are they self-employed with a sporadic paycheck? You may want to choose a tenant who has more financial stability. 2. Who Will Be Living In the Property? You need to be aware of who your prospective tenant plans to live with in the rental unit. Will a roommate share responsibility of rent payment? Or is it a family with small children? You also want to make sure that your tenant isn’t planning on bringing in people who aren’t on the lease. If you’re renting out a two-bedroom unit and your tenant suggests that five or six people may be living there, it’s likely not a good match. 3. Why Are You Moving to a New Home? One of the key questions to ask a prospective tenant is why they are moving. Were they evicted from their previous home? Are they looking for something that your rental may not have, leading to them being a short-term tenant? Knowing why they are moving can give you a lot of insight into what you can expect during the tenancy. Screening prospective tenants can be an exhausting and time consuming process. At Piper Legal, our landlord/tenant attorneys can help you find potential tenants and check their background and credit history, so you can be comfortable when deciding to rent to an individual or a family. Contact us today to find out how we can help you select great tenants for your Michigan rental property at (810) 235-2558.